Spring is here, and a new hair color is one of the best ways to treat yourself to a fresh, new look. With all the new colors available, it can be difficult to choose. But one very popular option can give you a variety of shades at once: highlighting. Highlighting is a great option, whether you are a coloring for the first time or are a color treatment veteran. If you’re trying a new color for the first time, highlighting allows you to start gradually, selecting a shade that complements your natural color. If you like the effect, you can go for a more dramatic look on your next salon visit. If you’ve tried dramatic changes before, highlighting can be a new look for you that blends some of your favorite shades. Foiling is a hair highlighting technique that allows your stylist to paint on your highlights in a deliberate pattern. The foil separates non-treated hair with the sections that will not be colored, creating clear, separate sections of color. Compare this with balayage, which is a more “freehand” style of highlighting. Foiling is making a comeback. The latest styles are sporting a 90’s flair that is best achieved through foiling, and some of the new, non-traditional colors look best with a more deliberate pattern of highlighting. Aside from the benefit of foiling’s patterning, other benefits include the ability to add multiple colors in the same treatment, better management over the amount of color in the highlights, and even the ability to use your hair’s natural shade as the highlight color. Hair foiling is an effective technique that gives your stylist – and you – the flexibility to create a unique new look for you. Consult with your stylist before your foiling appointment to talk about the best level of highlighting to achieve the look you want. With so many choices available, your stylist is your best partner to help you make the right coloring decision for your style and personality. At Untangled Salon, our professional stylists are ready to help you create a fresh new look for spring! 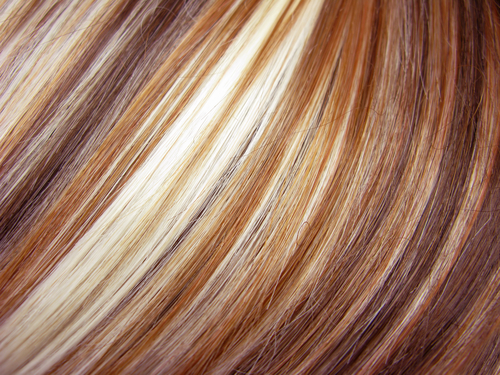 Our team has the experience needed to help you make the best hair color choices to fit your unique style. You can find us at 19924 Jetton Road, Suite 105 in Cornelius. To schedule an appointment, just give us a call at 704-895-9300 or send us an email at info@hairuntangled.com. Prefer to schedule an appointment yourself? Use our free mobile app. You can download it for free at the AppStore, on Google Play, or Amazon.